The Red River Zoo is excited to announce the birth of 5 Pallas’ Cat kittens. The rare kittens, born on April 20th, are the third litter born at the Red River Zoo. The Zoo imported Sural from the Saitama Children’s Zoo in Japan last year with the intention of increasing genetic diversity within the captive population in the US. This is the first litter born to Eva and Sural. The Zoo hopes the birth of these kittens will help ensure the long-term sustainability of the species. Pallas’ Cats are listed as “Near Threatened” in the wild. 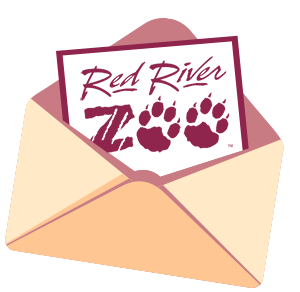 The Red River Zoo participates in the Pallas’ Cat Species Survival Plan (SSP), working with members of the Association of Zoos and Aquariums (AZA) and zoos around the world to maintain a healthy and diverse population.